The House Environment and Transportation Committee voted down four bills that would have reformed aspects of speed and red light camera programs, while approving a bill which would authorize a $500 photo-ticket for a third type of photo ticket. The National Motorists Association (NMA) had supported the bill, noting in their testimony that over half of workzone accidents are actually caused by worker's own equipment. The NMA also noted that "A 2012 legislative audit of the Maryland State Highway Administration’s speed camera program found that the state’s “SafeZones” program had failed to adequately test the equipment and that the state flouted its own law regarding a requirement that speed cameras be independently certified. It’s clear that poor administration of the state’s various speed camera programs has led unfair treatment of countless motorists and represents a violation of the public trust." The NMA is the only nationwide organization dedicated to protecting motorist rights. We believe that violations of people's legal rights for the sake of revenue and expediency are intrinsic to the nature of automated enforcement. The lack of oversight and lack of transparency on speed camera programs make abuses in this system inevitable. The legislature knows there have been abuses. From the beginning, Maryland's speed camera program was born in fraud, deception, and shady deals. With reference to the SHA's failure to independently calibrate their own equipment and follow their own procurement rules, confirmed by a 2012 SHA Audit, we noted that "Some say the SHA's program is a “model” speed camera program. We say yes, they are a model, and that's the problem. Local governments followed the SHA's example and did the exact same thing." We also noted that under the previous administration the SHA opposed any and all efforts to reform Maryland's speed camera law with respect to their own program. "The word “accuracy” does not exist anywhere in the calibration requirements in Maryland's speed camera law. Nor does state law require equipment to meet any nationally recognized standard. This is what turned Maryland into a beta test site for buggy, unproven speed cameras. NO you did NOT fix that gaping flaw in the law last year." A bill that would have required audits of speed camera programs, such as the audit which proved that Baltimore City's Program had a 10% rate of erroneous tickets, was voted down amid strong opposition from local governments. The idea of requiring audits was strongly opposed by local governments such as Montgomery County, which are terrified that errors will be proven in their own programs if they are forced to accept independent oversight or review. The Maryland Association of Counties (MaCo), a collective lobbying tool for county governments, opposed the audit bill, and MaCo's spokesperrson Les Knapp trumpeted their success in killing it on their "ConduitStreet" bog. 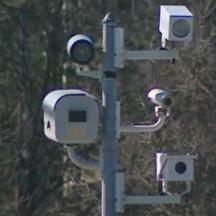 The Maryland Association of Counties (MaCo) lied in their testimony to the legislature regarding the audit bill, claiming that "The audit requirement would require a local government to take down it's speed cameras and ship them to a qualified laboratory to be tested" which would have shut cameras down for an extended period of time every four months. In fact this testimony by MaCo's Les Knapp was completely false, since the bill contained no requirement that hardware be examined or shut down at all. The other reason MaCo gave for opposing the bill, was that the legislature had rejected the bill in previous years, largely because MaCo and local government which profit from speed cameras had opposed it then as well. YOUR county's representative on MaCo's legislative committee can be found here. We note that ALL members of MaCo's legislative committee are culpable in MaCo's activities to limit the legal rights of motorists at public expense, either by their action or by their inaction. 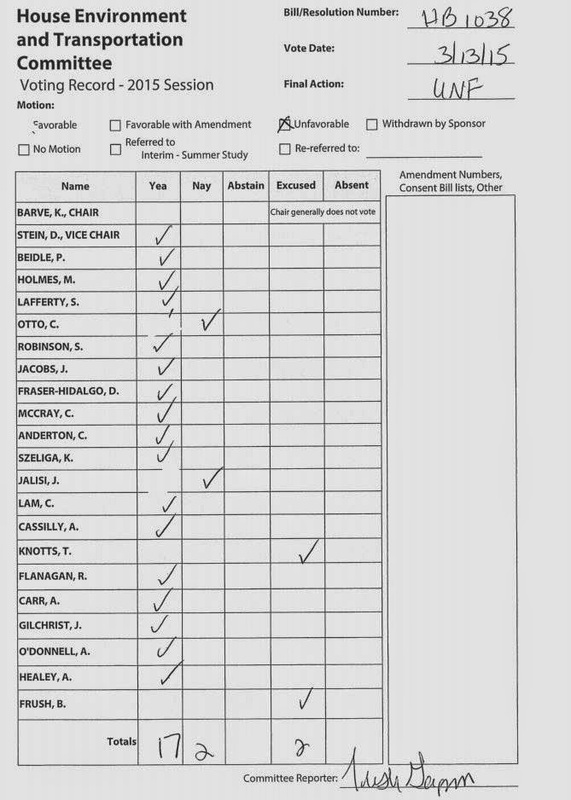 local governing body’s approval of the ombudsman", a decision the General Assembly made largely because MaCo opposed the idea of any and all outside oversight of local speed camera programs. The Maryland Drivers Alliance had written testimony in favor of the bill, noting that "the “local designee” role created by HB929 last year does not currently function as a practical means of addressing public concerns nor does it function as a meaningful “ombudsman” by any commonly held understanding of the term." We pointed out that selected Local Designees are not independent or objective, since in some cases the heads of speed camera programs had been appointed as "ombudsman". In fact the bill which created this role in 2014 was actually written by a secret "Speed Camera Reform Work Group", which met in private without notifying the public, taking minutes or agendas, and which included MaCo and the heads of large speed camera programs (particularly the heads of Montgomery County and Prince George's County's speed camera programs") but that opponents of speed cameras were not included or even informed that the work group existed. The existance of the Speed Camera Reform Workgroup was confirmed by correspondence from MaCo and from the head of Montgomery County's speed camera program, but the Department of Legislative Services claims that they have no minutes, agendas, or records of public notice for the group's meetings. Thus the entire effort of "reform" conducted in 2013 and 2014 was actually a demonstration of exactly what was wrong with speed camera programs in the first place: too much secrecy and no willingness to listen to the pubic. "If the legislature is truly serious about reform, and serious about openness and transparency, then what you really need to do is start over and do it right. Amend this bill to create a new “speed camera reform work group” which includes members appointed by the governor, and which is subject to the open meetings act. No more secret speed camera meetings. Engage with the public, and with the opponents of speed cameras – not just those who believe the system is fine -- and hear out the reasons why we have problems with the current system for real this time." -- we wrote in our testimony. The Environment and Transportation committee ignored this plea and unceremoniously killed this bill as well. A version of the local designee bill did pass the senate, however only after it was amended to remove the requirement for hearings. The requirement for a hearing was the only part of the bill which had any practical effect, and removing that provision entirely defeats the purpose of the bill -- providing a small element of outside oversight and transparency in order to ensure a local designee is in fact an independent "ombudsman" rather than someone with a vested interest in keeping a local government's problems secret. It has yet to be seen whether the Environment and Transportation committee will vote down the amended bill as well (which they might as well do at this point), or approve it and promote a meaningless farce of a bill which actually does nothing. The View of the Maryland Drivers Alliance is that this is essentially what the legislature did in 2014: write a bill designed to keep existing practices in place, which was written by the heads of speed camera programs, and pass it off as "reform" to a public which they believe to be too uneducated to know better. The Environment and Transportation Committee also killed a bill which would have ended the practice of ticketing vehicles for slow moving right turns from a right turn lane. The bill was strongly opposed by Rockville and Montgomery County, each of which stood to loose approximately $1Million per year in photo ticket revenues if they could no longer issue tickets for vehicles making right turn on red where right turns are allowed. Rockville, in particular, has only ten red light cameras, but saw their red light camera revenues more than double after deploying cameras optimized for ticketing vehicles which were making right turns without a 100% complete stop, or which in some cases vehicles which did make a full stop but slightly ahead of the white line. Some cameras, positioned to capture images turning from a right turn lane, saw more than a factor of ten increase in tickets after the new ticketing practice was put into effect. The fiscal policy notes for the bill also indicated that "Montgomery County advises that it may no longer allow red light camera enforcement in right lanes under the bill, which may result in a loss of roughly one third of citations and more than $1 million annually, unless offset by greater enforcement of other lanes in other locations." Opponents of the bill asserted, without providing proof, that the measure would increase dangers to pedestrians. A report from the NHTSA on right turn on red noted that right turn on red had an extremely small effect on safety. "Right-Turn-On-Red crashes represent a very small proportion of the total number of traffic crashes in the four states (0.05 percent). RTOR injury and fatal crashes represent a fraction of 1 percent of all fatal and injury crashes (0.06 percent). RTOR crashes represent a very small proportion of signalized intersection crashes (0.4 percent)." The report further noted that "less than 0.2 percent of all fatalities involved a right-turning vehicle maneuver at an intersection where RTOR is permitted " while further noting that some of these accidents actually occurred when the light was not red for the turning vehicle at all and that the actual numbers are even lower than this would indicate. This bill was supported by the National Motorists Association, which asserted in their written testimony "The question of whether or not rolling right turns present a safety hazard was answered in a study conducted in 2011 by Safer Streets L.A. (www.saferstreetsla.org), after analyzing nine years of crash data in Los Angeles. The study concluded that accidents attributed to such maneuvers accounted for only .08 percent of total accidents in the city, and the chance that a rolling right turn would result in a collision was .0003 percent. In addition, a separate review of US Department of Transportation statistics found that an average motorist could drive a billion miles -- the distance from Earth to Jupiter and back -- before being involved in an accident that resulted from a rolling right-hand turn (thenewspaper.com/news/26/2693.asp). The bottom line is that rolling right turns present little, if any, safety hazard." The Environment and Transportation Committee id allow one photo enforcement related bill to go through, a bill which would set a precedent for fines of up to $500 for automated enforcement tickets by raising the maximum fines for "school bus monitoring system" tickets from $250 to $500. The bill's sponsors presented this as being necessary because there were too many people passing school buses. Montgomery County have been issuing only about 5 tickets per camera per month in their first nine months their school bus cameras were in operation. By comparison, the City of Rockville's red light cameras issued approximately 200 citations per camera per month at the end of 2013. Given that the cameras are issuing only 1/40th as many tickets as a red light camera would, either the county or their vendor or both would be unable to turn a profit off of these these cameras given the current fines. In general local governments will not continue photo enforcement programs which do not produce revenue over the long term. The law regarding school bus monitoring systems contains fewer protections for the legal rights of defendants than speed cameras do. The fines of up to $500 would be issued to the owners of vehicles, rather than the drivers, who would be forced to "admit guilt" in passing a school bus (since courts in Maryland have determined that paying a fine is an admission of guilt) if they were unable to identify the driver. This is despite the fact that in some cases the driver may have been unknown, and despite the fact that under courtroom rules of evidence a person can in general only testify to facts they personally witnessed. The burden of proof spelled out in the current law regarding school bus monitoring systems is so low that it does not actually require the device to collect evidence which proves the vehicle actually passed a bus. In fact the word "passing" does not even appear in the statute which authorizes school bus monitoring cameras. For example, it is technically illegal in Maryland, under the statute the cameras enforce, to come to a full stop closer than 20 feet from a school bus. Red light cameras were re-purposed to ticket for slow moving right turns after they had been in use for several years, and the legislature merely needed to do nothing in order for that practice to continue expanding. While the bill sponsors repeatedly refer to it as being about passing school buses, there is absolutely nothing in the bill which prevents the cameras from being re-purposed in the future to ticket for such technical violations other than actually passing a school bus, including those of a sort which literally never cause traffic fatalities. Local governments will now have a $500 per ticket incentive to begin doing exactly that. Of course the public has gotten the assurance from politicians these cameras won't be used in this way (someone did promise you that didn't they? ), so obviously there is nothing to worry about. Because if you can't trust politicians who can you trust?